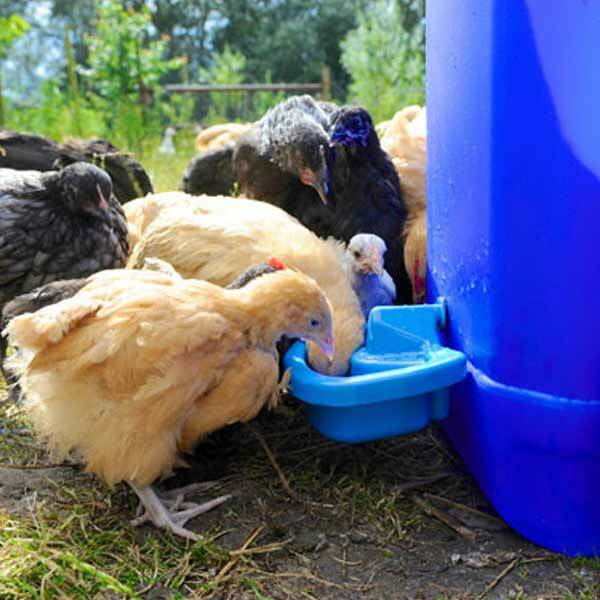 Semi-automatic drinker, British made and designed by BEC to use old water tanks, buckets, feed and any other type of container turning them into reservoirs for your birds’ drinking water. Self-filling, with built-in float valve, multi-use drinker with a cup capacity of 0.50 liters (1 pint). 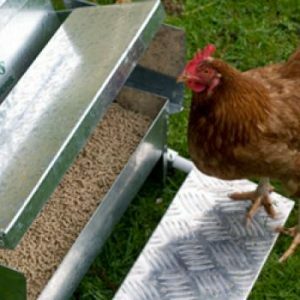 It can be fitted to water containers or tanks with a water depth of up to 72″. It is easy to fit, maintain and use. 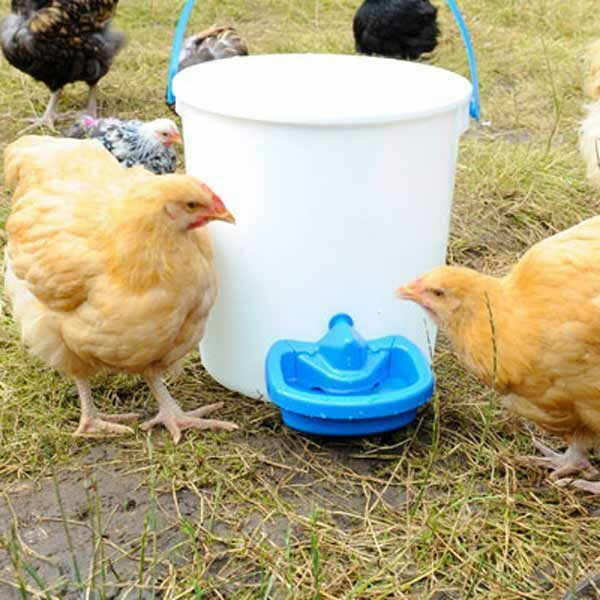 Ideal for outside or indoor use, the MaxiCup drinker cup is hard-wearing and suitable for most pets, including chickens, ducks, geese, quail, game birds, wild birds, even dogs and cats. Easy to assemble, just drill a 1/2″ hole and attach. Comes with a washer/gasket, wing nut, and filter. 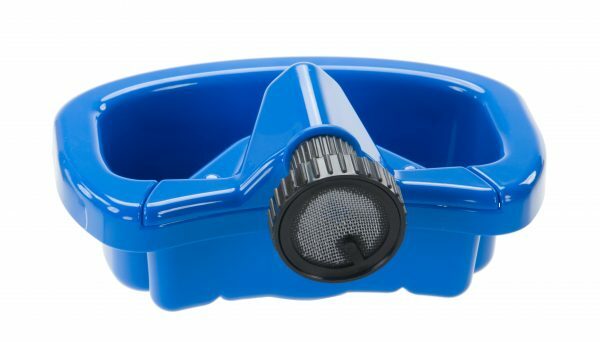 Filter helps prevent potential contaminants from blocking up the water flow into the cup. Made in the U.K. of quality materials. 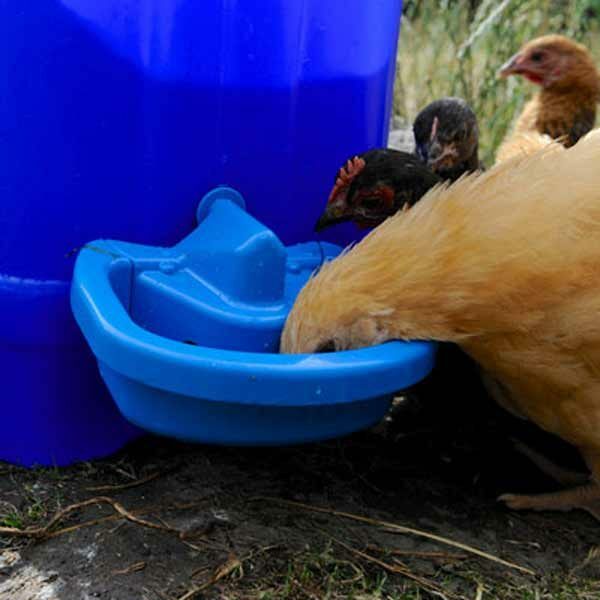 Unlike many of the other cheaper-made drinkers, MaxiCup does not leak, and there is no need for your chickens to press a float valve to release the water, it is self-filling. The MaxiCup is a semi-automatic drinker designed by BEC to use old water tanks, buckets, feed and any other type of container turning them into reservoirs for your birds’ drinking water. The MaxiCup is a self-filling, multi-use drinker with a cup capacity of 1 pint. 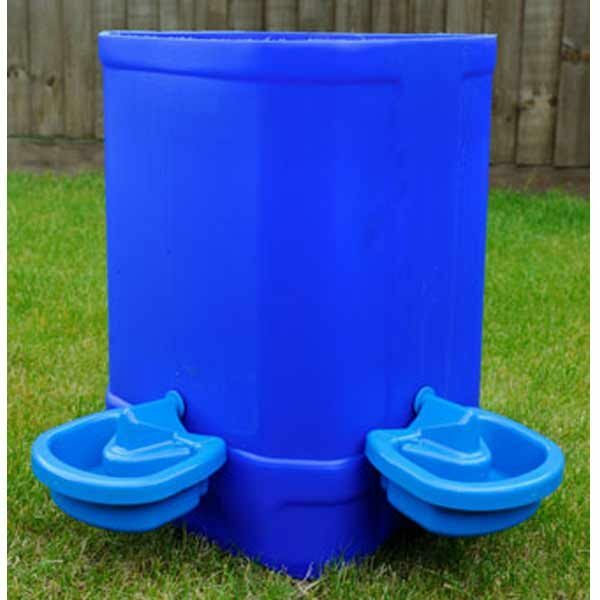 Attach to water containers with a water depth of up to 72”. 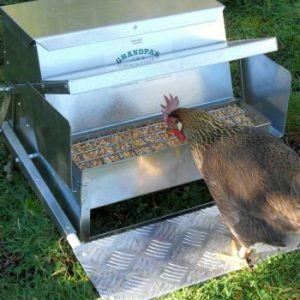 Ideal for outside or indoor use, the MaxiCup is hard-wearing and suitable for most pets, including chickens, ducks, geese, quail, game birds and wild birds. 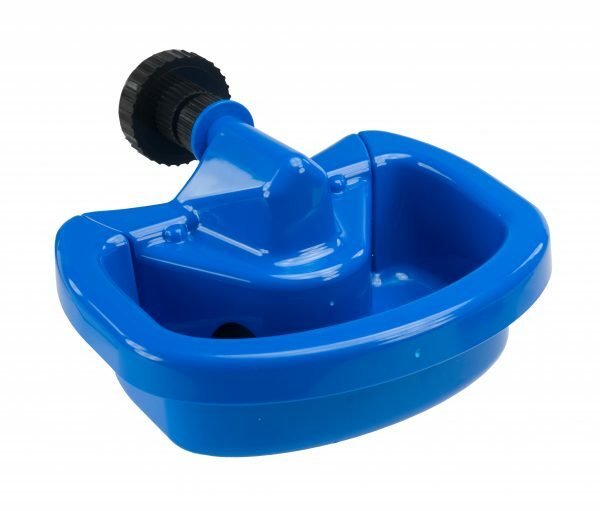 Fitting: Simply drill the water container with a 1/2” drill at a suitable height for your birds or pets. Fit the MaxiCup by removing the nut & filter. 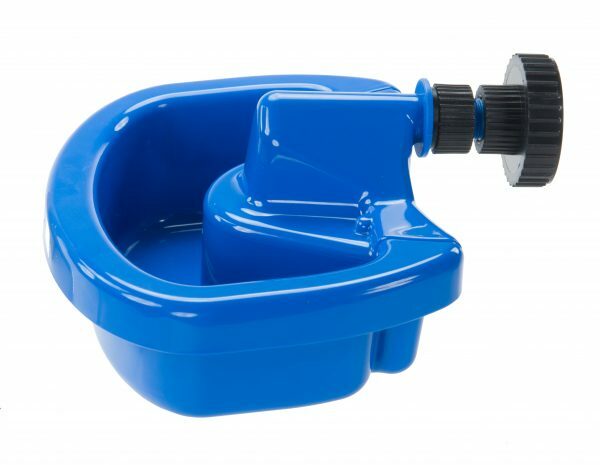 Place the MaxiCup spigot through the hole leaving the washer on the outside and tighten down the nut until it forms a seal with the wall of the tank. Then fit the filter behind the nut. Fill with water, check angle and re-tighten if necessary. The MaxiCup is simple to maintain. 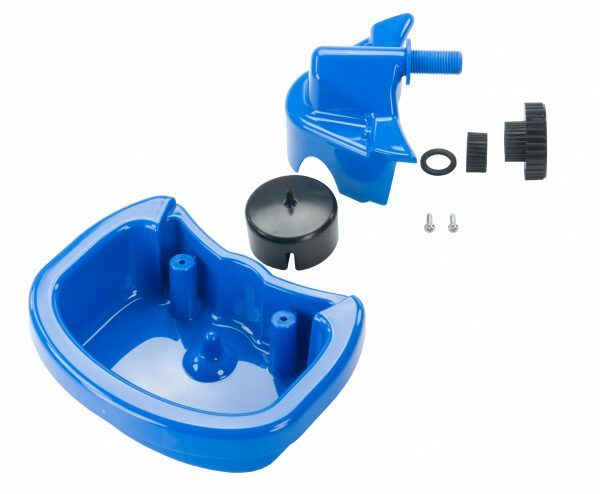 Simply undo the two screws securing the cup to the filter cover; separate the two halves and then clean the float and interior of the housing; then reassemble.